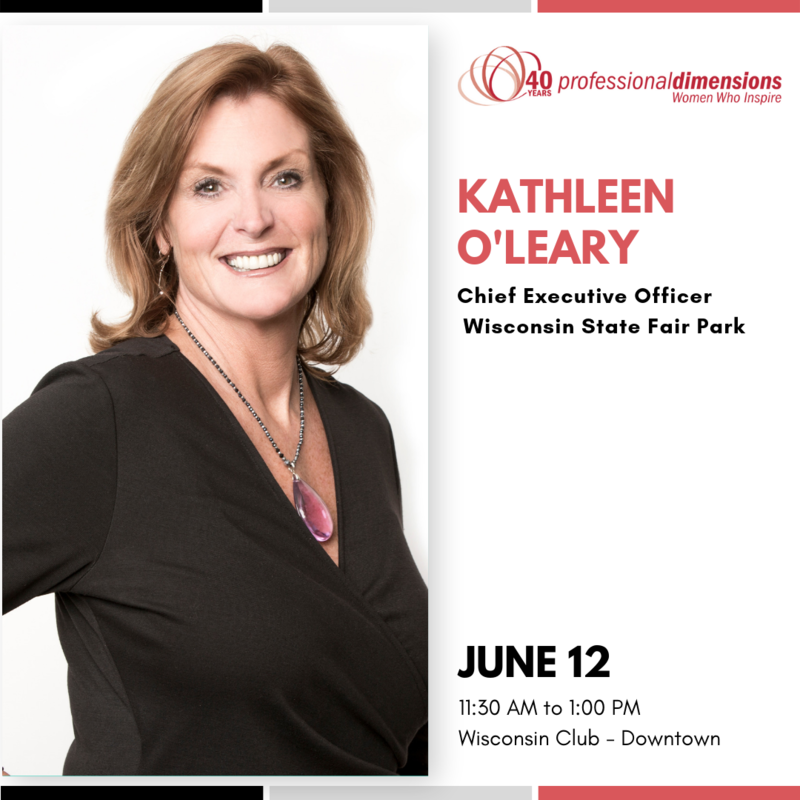 Kathleen O’Leary has served as Chief Executive Officer and Executive Director of Wisconsin State Fair Park since October 2016. She has 30 years of public and private sector experience in marketing, sponsorship, communications and facility operations, and 2019 marks her 22nd year at Wisconsin State Fair Park. Over the course of her career, O’Leary has held numerous positions, beginning in event planning and sponsorship, moving into marketing and communications, and eventually serving as Chief Operations Officer of State Fair Park before becoming CEO and Executive Director. The annual Wisconsin State Fair is considered one of the top 10 Fairs in the country, and has garnered numerous industry awards over the years. Proudly, the State Fair has welcomed more than one million guests for the past six years. In addition to the 11-day Wisconsin State Fair, State Fair Park is a year-round, 200-acre entertainment venue, hosting hundreds of events each year. As CEO/Executive Director, O’Leary oversees a staff of more than 100 year-round employees, along with approximately 1700 part-time and seasonal employees leading up to and during the annual State Fair. In 2017 O’Leary was named a Milwaukee Business Journal Women of Influence. She currently serves on the Visit Milwaukee Board of Directors and is a member of Tempo Milwaukee. She is a past International Association of Fairs and Expositions Board Member, and has also served on the Governor’s Council on Tourism Marketing Committee and the Wauwatosa Chamber of Commerce. O’Leary has a Bachelor of Arts degree in Communications from the University of Wisconsin-Whitewater and holds a Certified Fair Executive designation from the International Association of Fairs and Expositions. Wine Valley Fruit Salad - an assortment of seasonal fresh fruits arranged over arugula, spinach and radicchio with slivered almonds and brie sauvignon blanc dressing.